LucidLogix® (Lucid) today announced Virtual Graphics Ware (VGWare™), its new cloud graphics software that enables high-performance, AAA-quality gaming on all levels of CE devices. 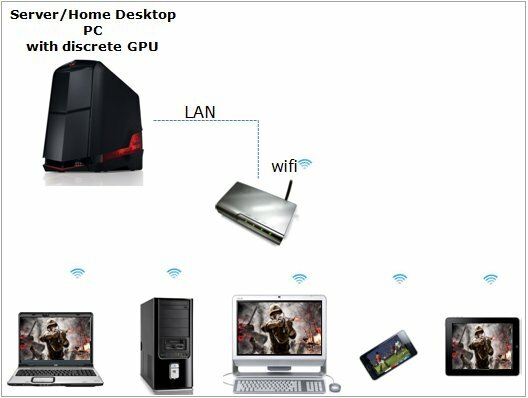 In addition to cloud gaming, VGWare allows for remote graphics rendering that improves the performance of a variety of client/server applications. The Lucid VGWare Cloud based infrastructure is an adaptive client-server remote graphics engine, which consists of massively scalable software that allows multiple concurrent applications, such as games, to run on a remote server in the Cloud or data center. This server is then able to stream these applications to client devices such as tablets, internet ready TVs, smartphones and more. Lucid Virtu software product line refined the meaning of performance, quality and responsiveness in PC and notebook gaming and video, allowing millions of consumers to get the most out of the hardware that they own. Now with VGWare, LucidLogix extends this quality experience to any device with a graphics processor.